Two brothers, playing around in their messy bedroom, hear Mum approaching. 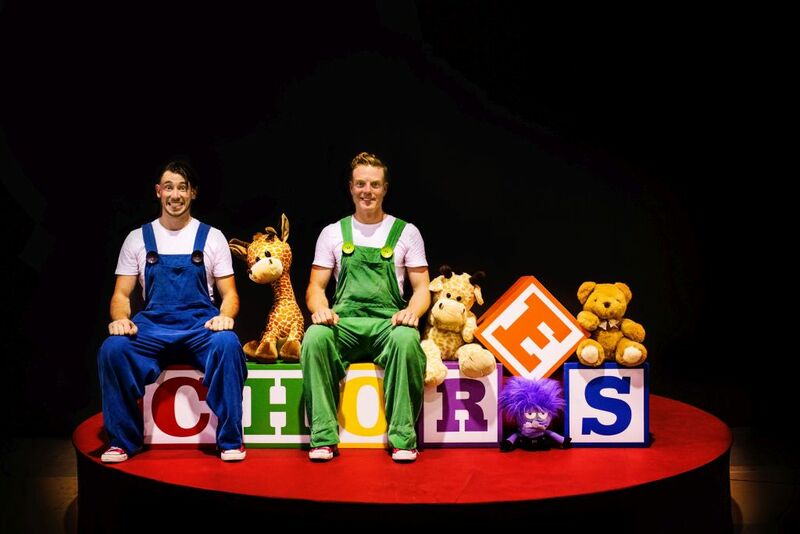 The excitable rascals will have to hustle to get their chores done so they can have some fun… A generous serving of riotous comedy, chaotic acrobatics, juggling, unicycling, huge flips and many more amazing skills feature in this action-packed attempt to tidy a room. Inspired by slapstick legends Buster Keaton and Charlie Chaplin, the side-splitting duo of Chores will leave audiences on the edge of their seats, giggling until the chores are done. "The show is packed with acrobatic and comedic talent young children are sure to love"
"Derek Llewelin and Julian Roberts’ sense of fun is infectious"
"If you have children of any age, they will find something entertaining here; and for the adults sitting through this show, it will not be a chore"